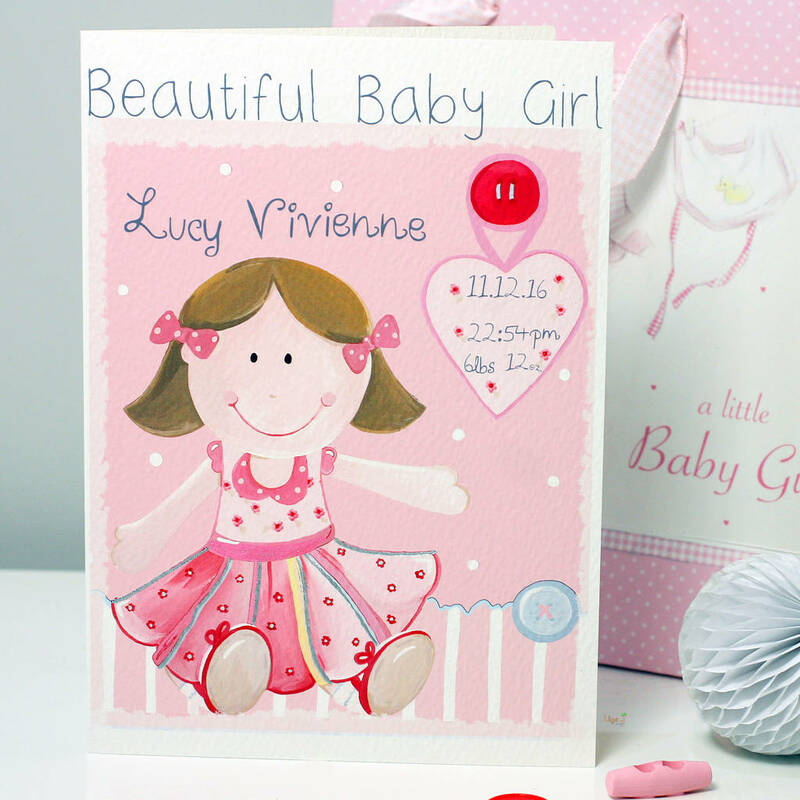 A highly personalised gift card, made especially to welcome and offer congratulations to a new baby girl arrival. 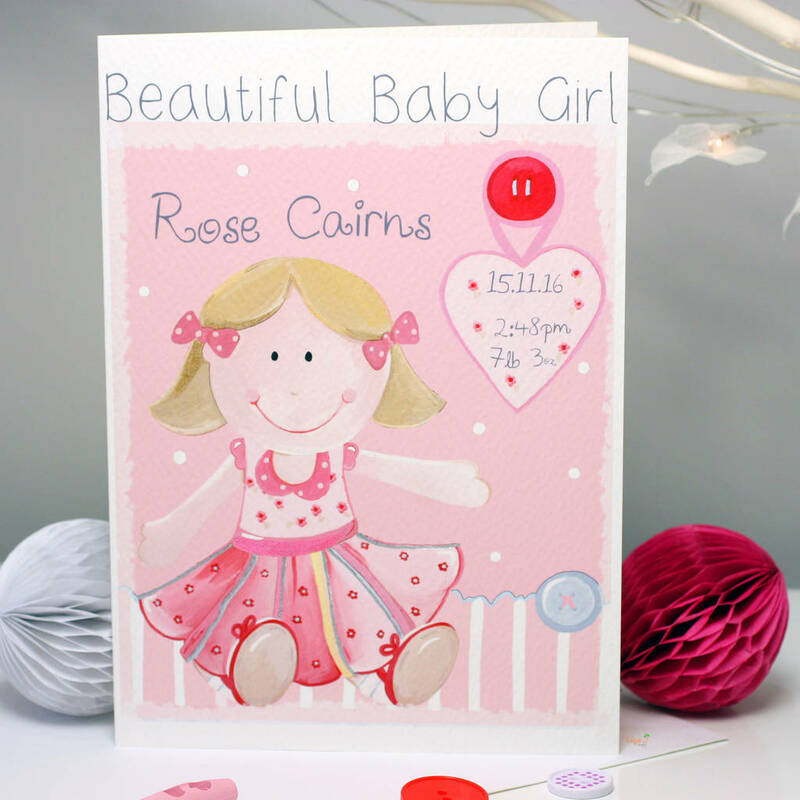 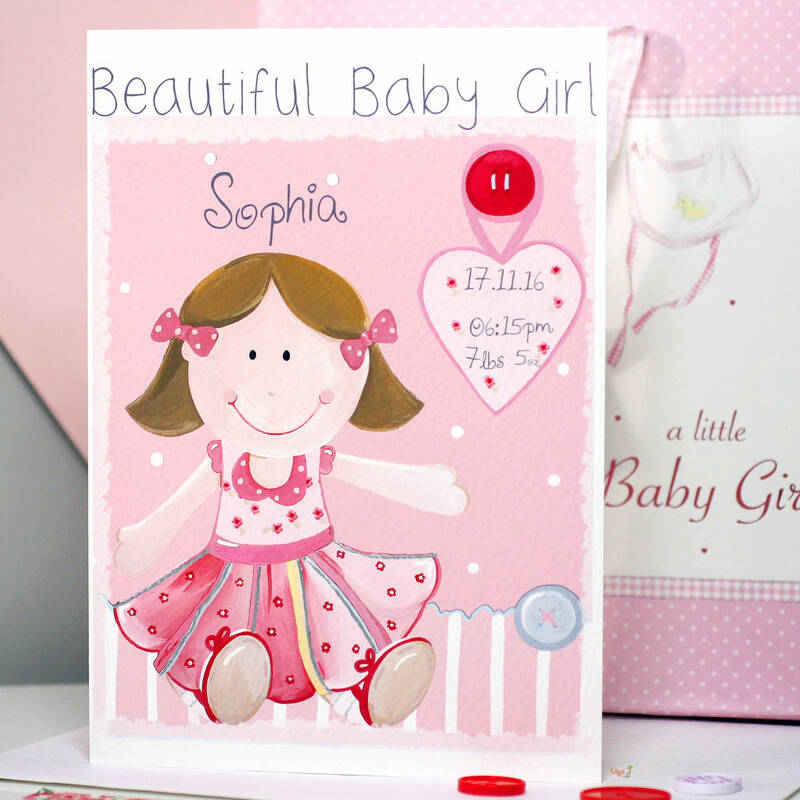 This greeting card would suit an occasion for a new baby with the words "Beautiful Baby Girl", then personalised with your chosen name and birth details, including date of birth, time of birth and birth weight. 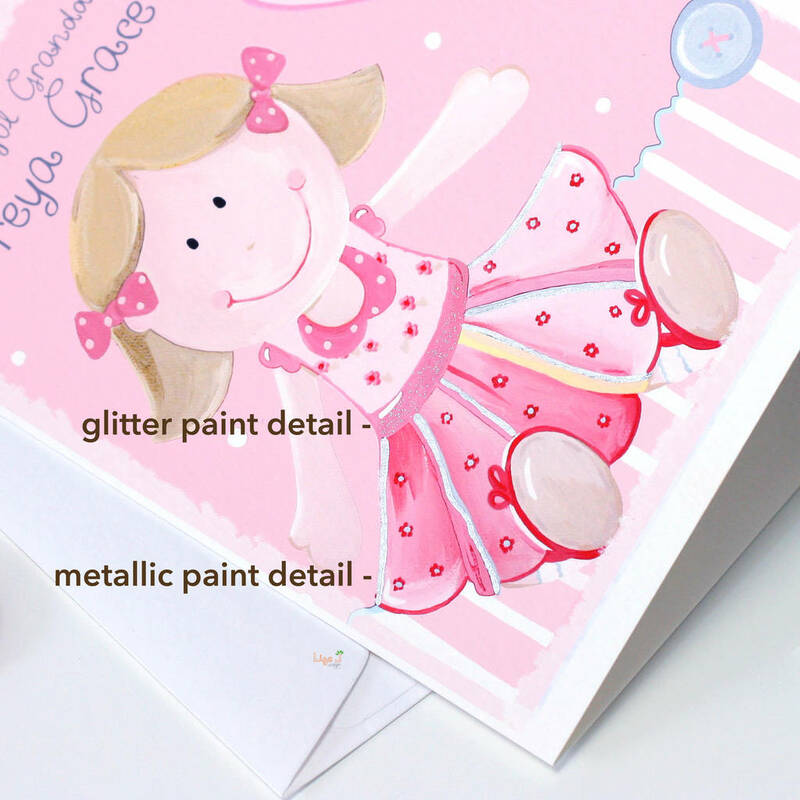 The card is hand finished with metallic paint detail on the dress. 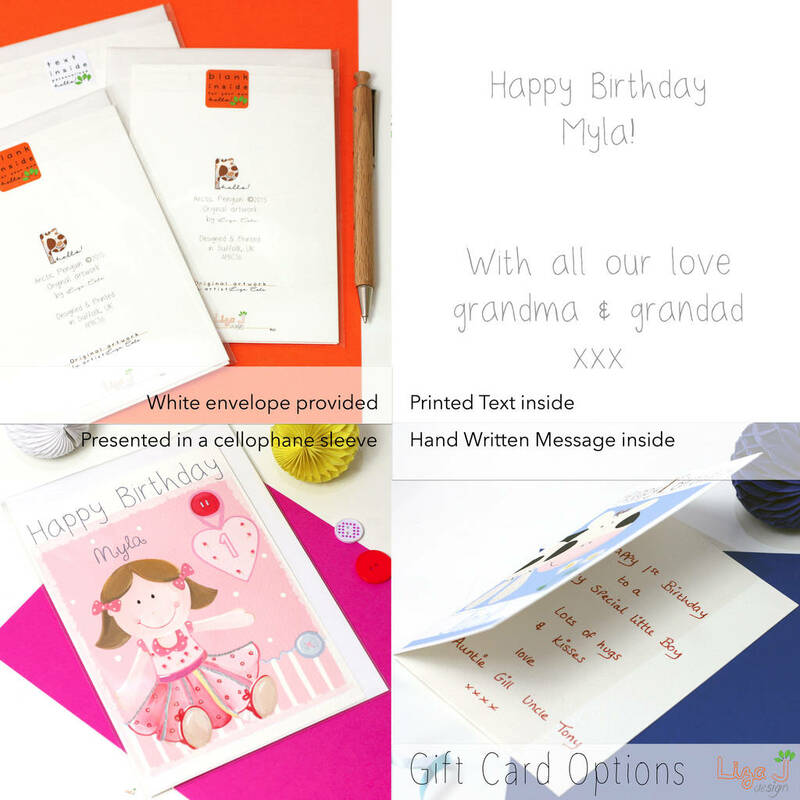 Specify hair colour (brown or blond).